Stories like this restore my faith in humanity. 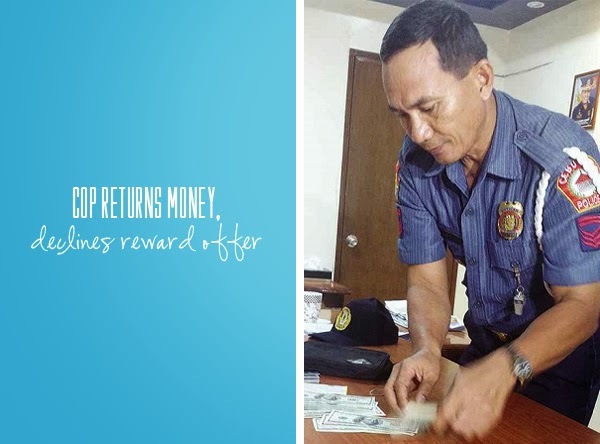 SPO2 Isagani Ceniza chose to be a decent and honest human being. It’s no secret that police officer in the Philippines have a muddled reputation. I am thankful for people like him who chose to break that negative stigma and stay true to the universal concept of a police officer – an individual you can trust and fights for justice. Nakakataba lang ng puso. Thank you SPO2 Ceniza for showing the world what a real man is. I truly believe that stories like this need to be shared more.